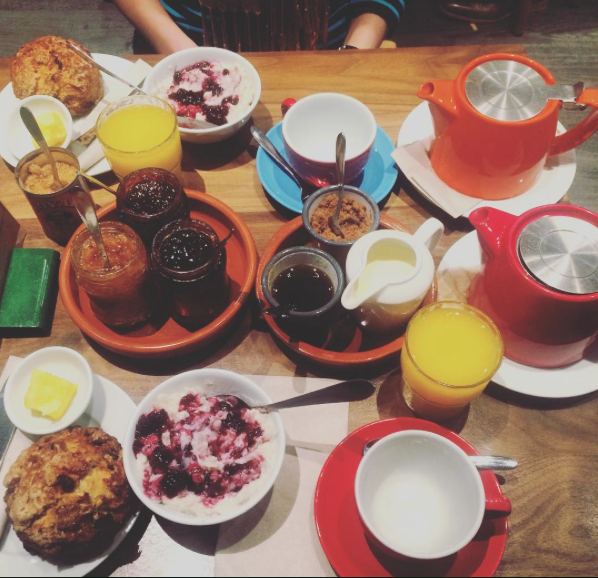 Colourful breakfast at Brother Hubbard. This was a great start to a day spent in the library! My goal is to (start and) finish my lit review before I go home at the beginning of December. I am the world’s slowest writer and truly do not think I can conquer this in 6 weeks, but I really am going to try my best. I’m quite excited for what comes after the lit review: my actual study and the post write-up! I realise I may not be as excited during the actual process, but I can’t imagine it’s as bad as the LR. If you’re reading this and have unique lit review tips – please leave them in the comments! This is the first proper full lit review I’ve ever had to write and I cannot wait until it’s over. I promise the next post is going to be Iceland, days 5 & 6! I’m with you…writing is enough of a struggle for me, but for some reason writing the lit review is a special (additional) pile of stress and struggle. I have found some resources to help and then a method of my own that has helped me. First, the resources. Telling a Research Story: Writing a Literature Review is a great book. You can get it on Amazon for $16. Second, if your University has a writing center they probably have resources you can use and maybe even a workshop you can attend. Third, strategy. I have found that annotating my sources really help me sort through and then help with the writing process. I have just discovered Zotero, which is a free software that helps you sort and index sources. It also has space for notes and the abstract. Good luck! Thank you for your comment and suggestions, Lizzie! Much appreciated. 🙂 Best of luck to you, too! !